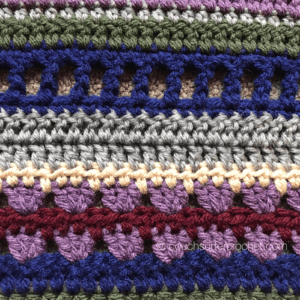 Welcome back to the Mixed Stitch Blanket Crochet Along! 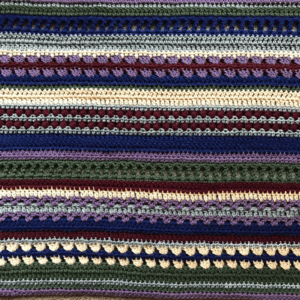 Week 1 (rows 1 – 10) can be found HERE. Week 2 (rows 11 – 20) can be found HERE. Week 3 (rows 21 – 30) can be found HERE. Welcome back! After this section we are halfway done! 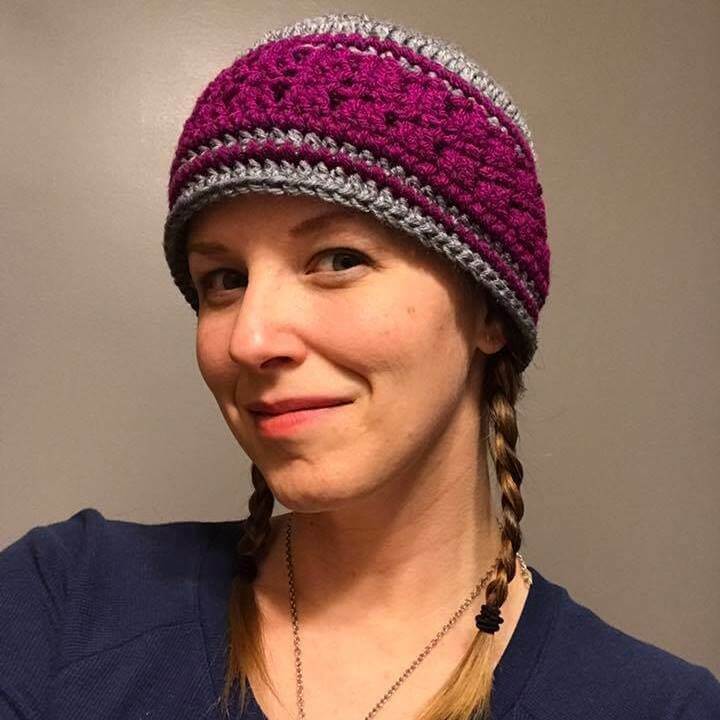 You all have been sharing your work in the Couch Surfer Crocheters Facebook page and I am so inspired by your talent and creativity! If you haven’t already, join us there! 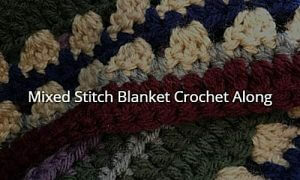 We have a supportive group of crocheters and we would love to have you! If you’d prefer to read a chart, click HERE. Row 33: ch 2, hdc in first 2 st of granny cluster, **3rd hdc goes into the “space” created between clusters. Week 4 will be available on June 5! 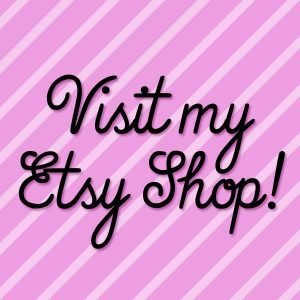 Please feel free to share your progress with me on Instagram or Facebook as you go! Happy crocheting! Now on to Week 5! Update: Now that this Crochet Along is complete, the FULL pattern is available AD FREE through Ravelry.